The grassy areas of Longrun are getting very long at the moment, but they aren’t messy and uncut, they are a hay crop, waiting for wildflower seeds to be ripe before being cut, dried and taken away. Since Longrun Meadow was made into a public space, much of it has been managed by the Friends of Longrun Meadow for the benefit of wildlife. In the case of the grassland, this management is intended to establish a species rich meadow which will be a haven for all types of wildlife. Because it’s so close to town, residents of Taunton have this wildlife right on their doorstep. To give flowers the best chance of producing seed, the meadow cannot be cut until the 1st of July. And even then, the farmer will need at least five days of sun (or at least no rain!) after cutting to allow the hay to dry, be turned and dry again before baling. We are already seeing improvements in biodiversity in the meadow. New plant species are not only growing, but thriving. 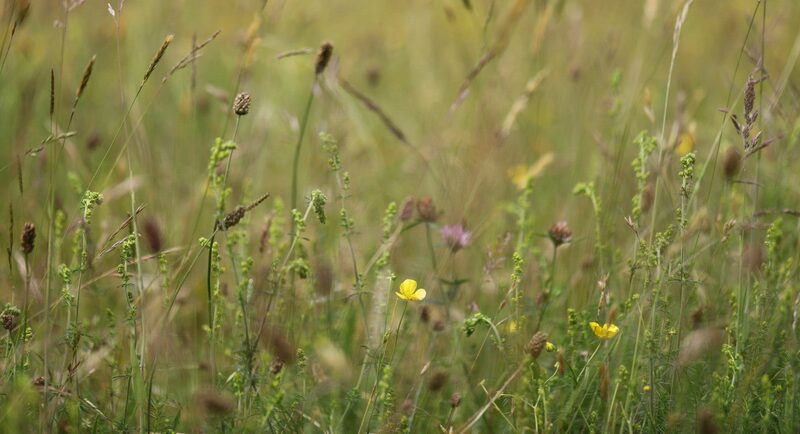 The yellow rattle we planted in Cathedral Field has had a fantastic year – it reduces the dominance of the fast growing grass species, allowing more flowers to establish themselves. More plant species means more invertebrate species, which in turn means more birds and mammals. Stick to the paths – there are plenty of paths, big and small, through the grass. If you’re cutting across the meadow, try to take a route that’s been taken before. Take dog mess away – there are three dog bins on Longrun so you don’t have far to take it. Dog faeces contaminate the hay crop and leave nutrients in the soil which encourage the fast growing grasses and reduce diversity, not to mention posing a health risk and nuisance to other meadow users. It is an offence not to remove dog mess from a public area – TDBC have a leaflet in case you are not sure of your responsibilities. Take rubbish away – there are rubbish bins at some meadow entrances and recycling bins outside the college. Lots of people make a huge effort clearing up other people’s rubbish – thank you! Keep an eye out for new plants – if you see something you think might be new, let us know! New plants arrive in flood water or germinate from the soil seed bank and we’re keen to keep track of what’s growing. Be respectful of wildlife – the meadow is a public, multi-use space but there’s no need to disturb wildlife, whatever you’re doing. Fires are not permitted – you cannot have a barbecue on the meadow or burn your physics GCSE folder. 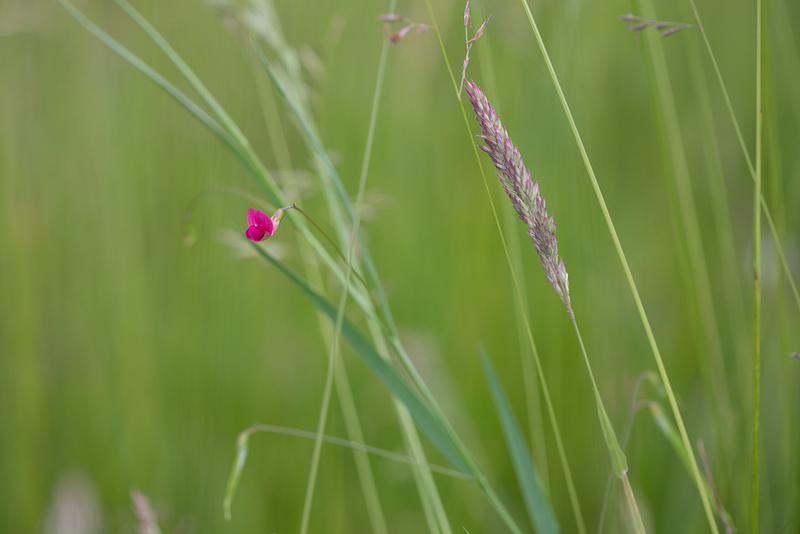 This beautiful, bright pink grass vetchling popped up in the meadow this year – it’s the first time we’ve recorded it. If you want to know who is responsible for which bit of meadow management look here. If you’d like to join our conservation group look here. You can contact us through Facebook and twitter with questions, comments or wildlife reports. Excellent information – well explained. Please support the committee working hard for the benefit of the community.